This Is Your Life will be available from Rhino on April 1st for a suggested list price of $18.98. A digital version will also be available. Although the songs featured on the album touch on the different eras of Dio’s career, several spotlight his time with Rainbow, including Metallica’s epic, nine-minute Ronnie Rising Medley, which combines the Rainbow songs A Light In The Black, Tarot Woman, Stargazer, and Kill The King. Scorpions add a scorching take on The Temple Of The King while Motörhead is joined by Biff Byford from Saxon on Starstruck. Rob Halford teams with frequent Dio collaborators Vinny Appice, Doug Aldrich, Jeff Pilson, and Scott Warren for The Man On The Silver Mountain. The final line-up of Dio’s solo band – Simon Wright, Craig Goldy, Rudy Sarzo and Scott Warren – are joined by Glenn Hughes (Deep Purple, Black Sabbath) for Catch The Rainbow, a track from Rainbow’s 1975 debut. Anthrax and Adrenaline Mob honor Dio’s memorable stint with Black Sabbath with their takes on Neon Knights and The Mob Rules respectively, as does a group, led by Oni Logan on vocals along with Jimmy Bain, Rowan Robertson, and Brian Tichy, which performs I from Dehumanizer. This Is Your Life also includes songs from Dio’s back-to-back platinum albums Holy Diver (1983) and The Last In Line (1984), with Doro’s take on Egypt (The Chains Are On), Halestorm tackling Straight Through The Heart, Corey Taylor (Stone Sour, Slipknot) covering the classic Rainbow In The Dark and Tenacious D (Jack Black and Kyle Glass) putting their signature spin on The Last In Line. Killswitch Engage’s cover of Holy Diver, a hit in its own right when released in 2006, is also included here. Fittingly, Ronnie James Dio provides the finale (and the album’s title) with his moving performance of This Is Your Life. Originally released on Angry Machines (1996), the song’s lyrics explore mortality and are backed by a stark and beautiful arrangement that features Dio accompanied only by his longtime keyboardist Scott Warren on piano. The song serves as a poignant reminder that we will never hear a voice like Dio’s again. 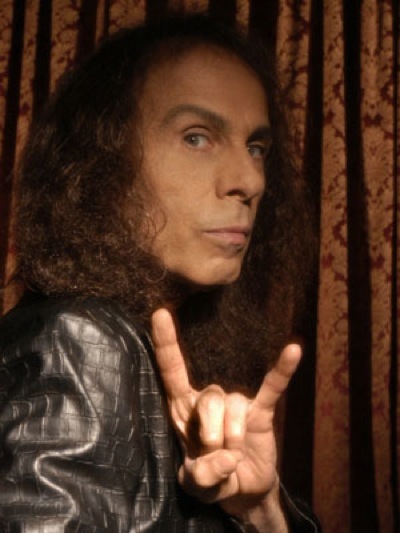 All of Tennessee still loves DIO! Sounds like an awesome album. Interview with Glenn Hughes on TMS really tweaked my curiousity.